At Nationals, Pin does things his way, Becky cures Jade's fear of performing, Rosie uncovers an old family secret, and James tries to sabotage Raven. After Zoe and Pin miss the ferry to Nationals, they get a ride in Grandpa Frank's van. But an empty gas tank leads to an unplanned stop at a fair. Gaby secretly trains on Raven, but Zoe's kindness makes her feel guilty. Rosie and Ben hunt for treasure in the tunnels. Pin makes plans with his mom. 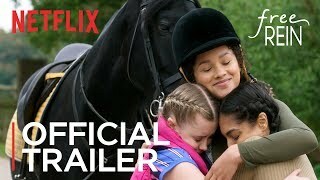 Currently you are able to watch "Free Rein" streaming on Netflix.